The Saudi Power transformers Company Ltd. (SPTC) is the leading power transformer manufacturing company in Saudi Arabia and the GCC. It was established in 2010 as a Joint venture between Saudi Transformers Co. Ltd. (51%) and CG Power Systems-Belgium (formerly known as Pauwels - Belgium) (49%). The factory is under the licensing agreement from CG Power Systems-Belgium to use Pauwels technology. More than 600 Pauwels’ Power Transformers are currently in use throughout Saudi Arabia up to 500 MVA. 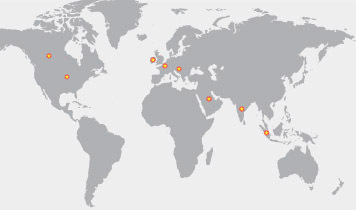 The factory in Saudi Arabia is the latest addition to the CG Power Systems’ manufacturing facilities network across the world in 7 other countries: Belgium, Ireland, Hungary, Canada, USA, India and Indonesia. Since 1947, Pauwels has stood for innovative, high quality and reliable Transformers with due respect to the environment and service to customers around the world. Pauwels was acquired by CG in 2005.